The 48 meter long, 379 gt fishing vessel Myojin Maru No. 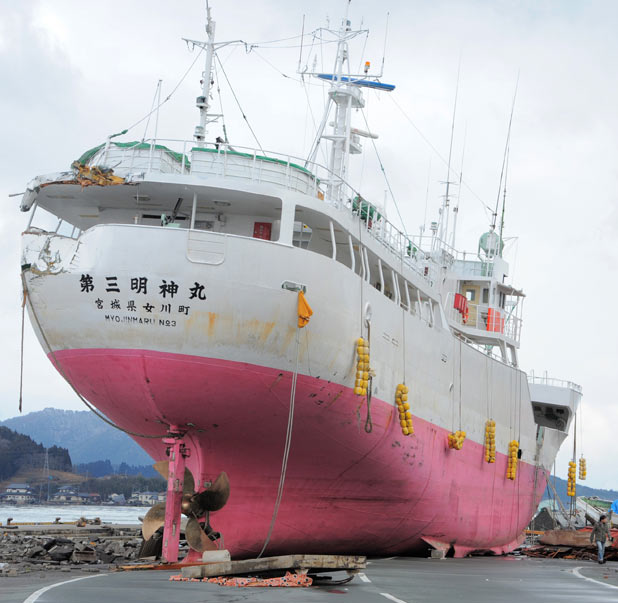 3 was caught by the tsunami and was washed ashore onto a road in Kesennuma, Japan. No details if any crew was on board at the time. Photo shows some stern damage from a collision.